Get Justin Timberlake tickets for less with everyday low prices, no service fees, and a 100% Buyer Guarantee on every ticket! 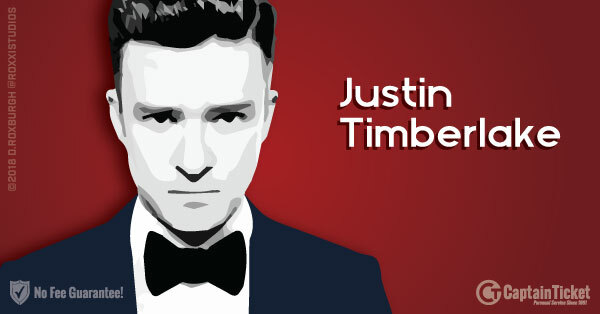 Get Justin Timberlake tickets with no fees. Buy Justin Timberlake tickets cheap, fast and easy on our secure ticket site or contact us directly for advice and guidance on selecting the best seats in the house. Before all others, we've been your trusted no fee ticket site for all event tickets since 1981. We're proud to offer one of the largest secondary market ticket inventories with interactive seating charts for all Justin Timberlake tickets at the cheapest prices online with no service fees, convenience fees, eTicket delivery fees, or hidden fees of any kind. Unlike other ticket sites and ticket brokers, we've never added any service fees to our advertised ticket prices. In other words, the price you see is the price you pay! With over 30 years in the industry, you can trust our support team to provide expert insight on all events, venues, and seating arrangements. So don't hesitate to contact one of our ticket specialists for more information on Justin Timberlake events, we're happy to help. To buy Justin Timberlake tickets at some of the cheapest prices online, look for tickets marked Exclusive. These tickets are part of our preferred ticket resellers network and are guaranteed to be the best deal for those seats on the market today. And as always, you'll never pay service fees, convenience fees, or any extra ticket charges when you buy your tickets on CaptainTicket.com - we guarantee it! 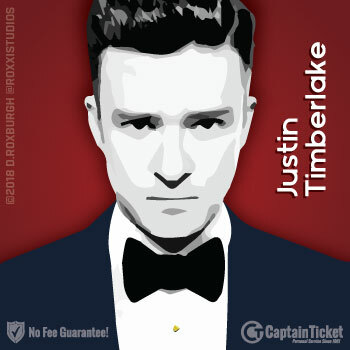 Get The Best Justin Timberlake Tickets - Call The Captain At 800.422.4002 Today! Captain Ticket™ has been a leading secondary market ticket reseller since 1981. We make buying Justin Timberlake tickets fast, easy, and secure. Our no fee ticket site includes a breakdown of all available tickets with an interactive seating chart so you can quickly find the tickets you want in the section of your choice. We also provide the best customer service in the industry at a ticket price that's hard to beat - No Fees, No Tricks, No Bull. Buy on our secure ticket site and get the cheapest Justin Timberlake tickets without the surprise fees or service charges. In fact, we are the FIRST ticket seller to show the full price of the tickets without adding any ticket fees in the cart. Don't be fooled by other Ticket Sites who claim to have cheap Justin Timberlake tickets or discount Justin Timberlake tickets only to shock you with excessive service fees and/or convenience fees when you reach the final page of their shopping cart - we simply do not do this.